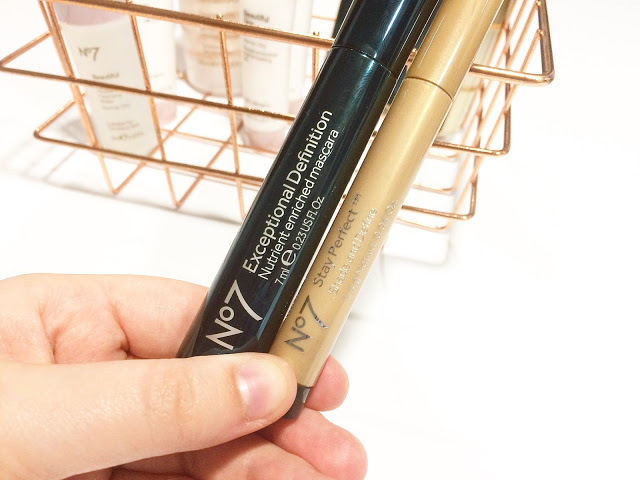 I’ve been a fan of No7 for a while now; it’s the only brand I buy foundation and mascara from. 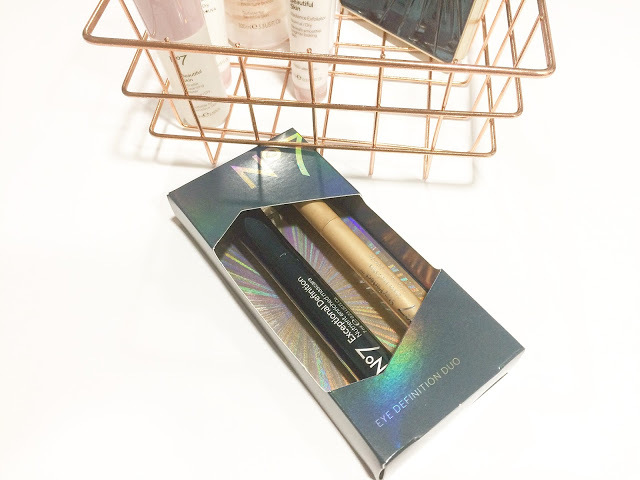 I’ve always been a budget, drugstore brand but for certain products, I believe it can be better to pay a little more than a couple of quid if they’re what you’re looking for. My initial thought was that this set would be great to use when travelling! 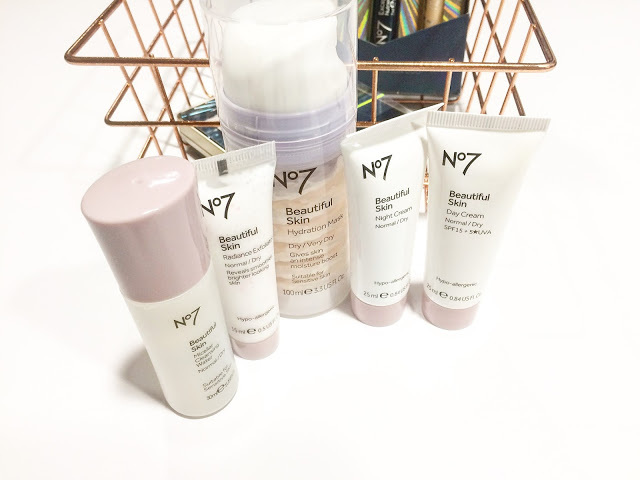 Included from the range are the micellar cleansing water, radiance exfoliator , day cream (normal/dry), night cream (normal/dry) and hydration mask (dry/very dry). 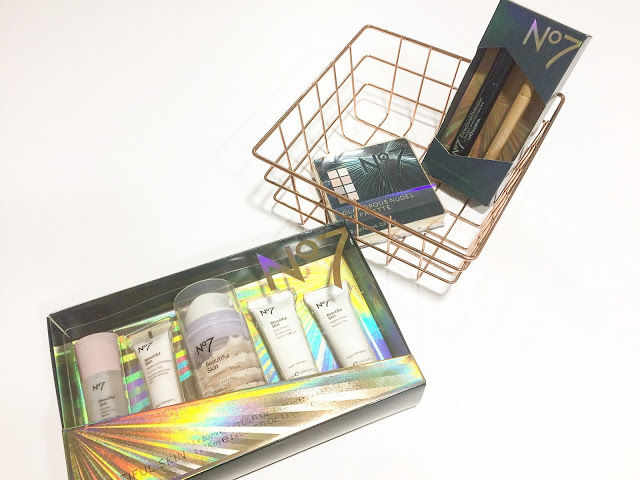 The hydration mask is a full-size product which retails at £13.00 on its own so you’re only paying £3.00 for the rest of the products; what a bargain! I already own the hydration mask but have only used it a couple of times so far. I’ve been impressed with it but I’ll probably do a follow up review when I’ve used all of these up! I bought this mostly because the packaging looked luxurious. 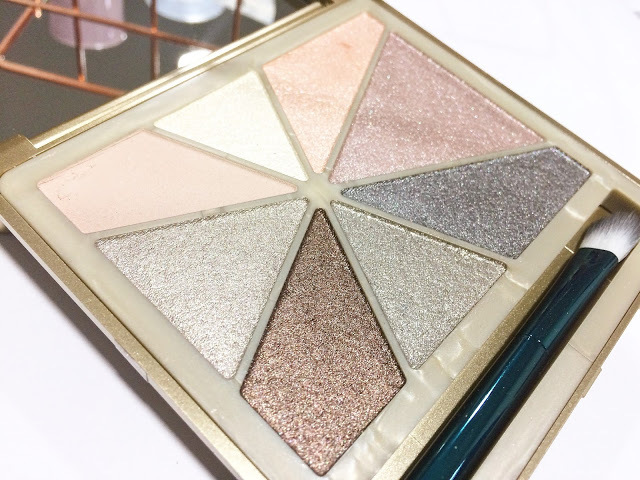 I’ve got a lot of matter eyeshadow palettes and many of them include just a couple of shimmery shades. This is pretty much all shimmer and glitter! Perfect for party season! As you can see above, there are quite a few shades covered with nudes, browns, pinks and a navy in there. 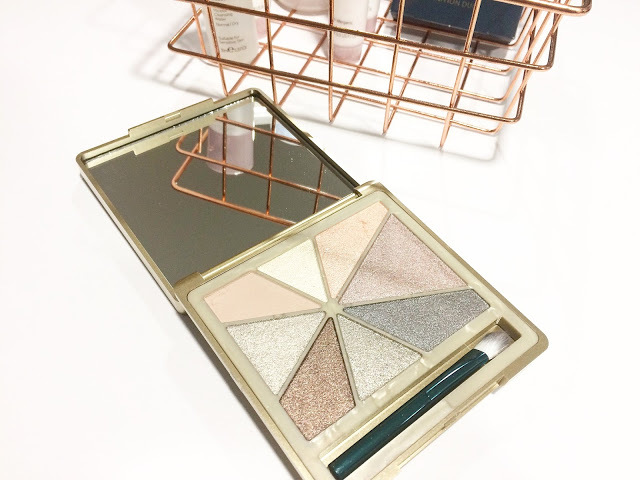 I liked the fact that it was compact; it won’t take up much room in your make-up bag! It comes complete with a brush and a decent-sized mirror so it can be used on the go too! 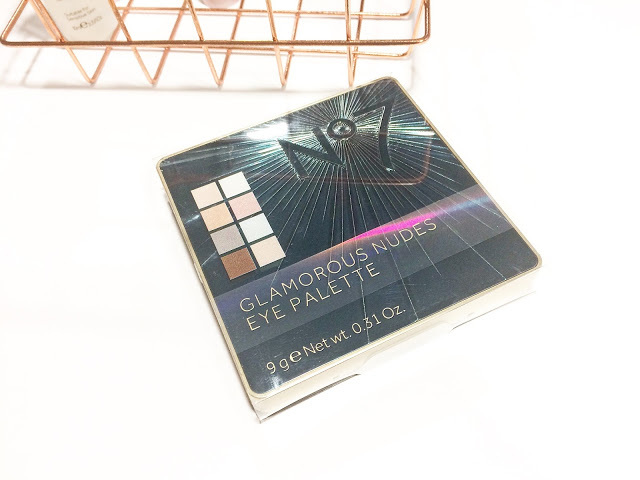 I’ve never tried any No7 eyeshadow before so I’m excited to see how pigmented it is! Unavailable on the Boots website! 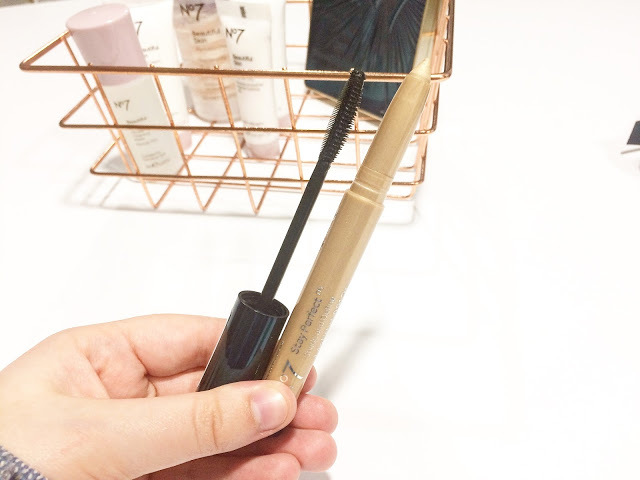 I’m a huge fan of Exceptional Definition mascara already but it’s £12.00 on its own! I usually stockpile it when it’s on 3 for 2 or buy it when I have one of those £3 off No7 make-up that you get at the counter. The second part to the duo is Stay Perfect Shade & Define in Precious. It’s a light gold colour which will suit most skin shades. I’ve yet to try it but looking at the liner itself, it looks like it will glide on pretty smoothly! It’s quite chunky for a standard eyeliner so it might be better served as a stick eyeshadow. 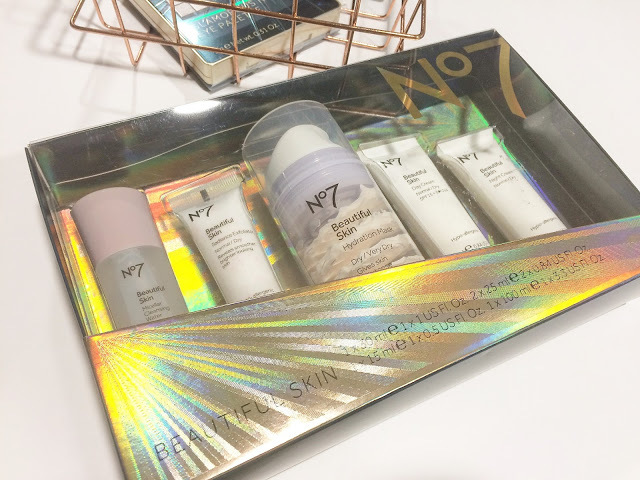 Did you pick up any No7 Christmas gift sets? Let me know in a comment below!